Below is a list of our current classes. 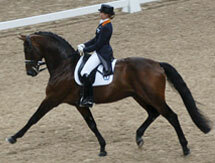 If you do not see a class you like or have an idea for a new class, please let us know. Our goal is to provide the experience our clients are seeking! We offer private and semi-private sessions offered in our exclusive Pilates training area. 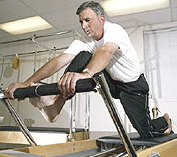 All private clients will be integrated to all of our Pilates apparatus. 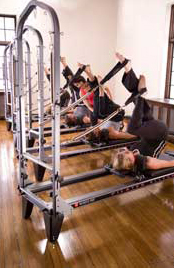 Reformer, Cadillac, Wunda Chair, Spine Corrector and Barre. Each client will be evaluated and given a customized workout based on their own specific needs. Each class member has their own Pilates equipment set-up for their own exclusive use. Each Pilates station includes: reformer, tower, jumpboard, spine arc, bosu ball, exercise balls, ultra-fit circle, bands and hand weights to maximize your Ultimate Pilates workout! We offer the most innovative and advanced state-of-the-art equipment to provide for the . . . In this class you will learn the basic principles behind Pilates and the proper technique and set up of a group equipment class. You will work to build a strong foundation to build your Pilates Principles. This class is ideal for beginners as we work towards ensuring accuracy and stability before moving towards more advanced work. This class is also perfect for those students who have been taking group classes but would like to review their form and address certain issues and modifications to get the most out of their workout. WORK MUSCLES YOU NEVER THOUGHT YOU HAD! This class is perfect for students who want to get the benefits of cardio fat burning and body sculpting all in one class. Incorporating intervals of the Reformer Jumpboard, sculpting exercises on the Reformer, Barre, Bosu Ball , hand weights and various props we get the heart pumping and rev up your metabolism. This is a low impact cardio workout good for all levels. Average calorie burn is 400-700 calories. As the name implies, this is your “ultimate” class. Get ready for the most intense and unique body sculpting experience. This class combines it all! We use the Reformer, Tower, Mat, Barre, Jumpboards and various props in this most comprehensive, inspired class. This class will take you to the next level!